In case you didn’t know, there are only 17 days until Christmas. I repeat: 17 days until Christmas. 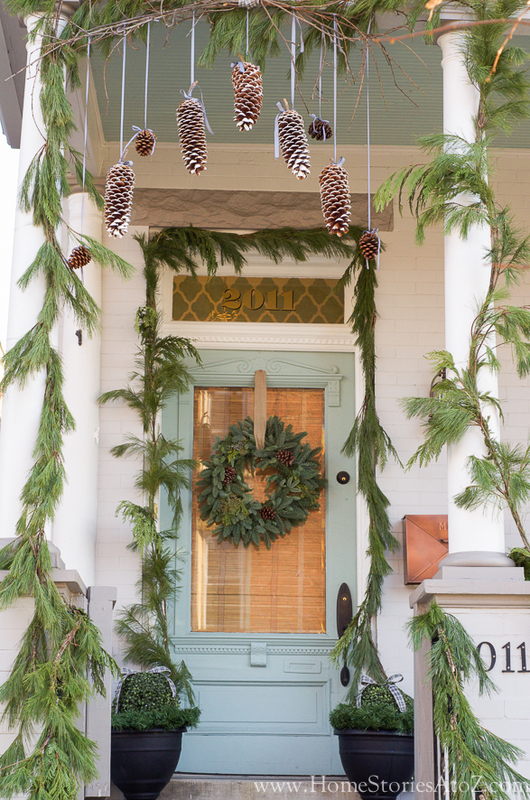 For those who love the holiday season but let it sneak up on them this year, here are five quick decorating ideas to spruce up your entryway if you haven’t quite gotten around to it yet. The best part of these is that they easily double as winter decor, so you have an excuse to leave them up until February. Or March, if you’d prefer. 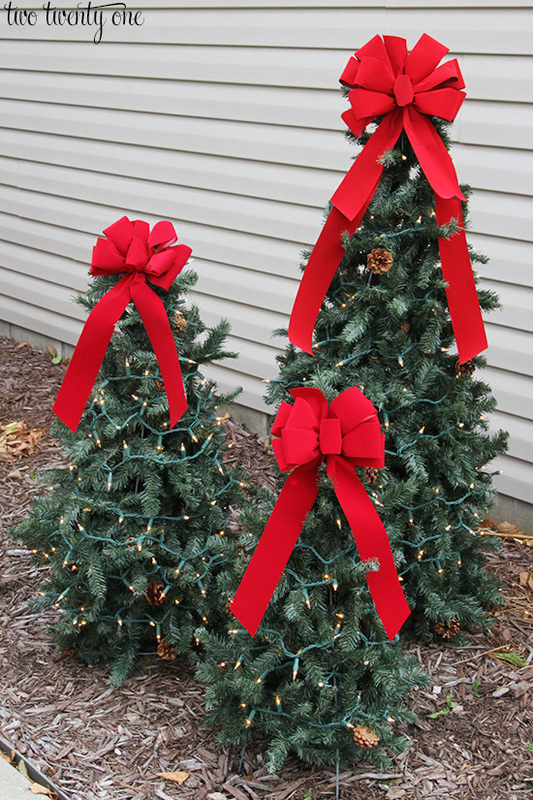 These little trees are made with some garland and tomato cages, so they’re affordable and a fun project. You may even have some of the materials around the house already! The tutorial explains exactly how to make them and how much material she used. No tutorial here, but this blog was filled with lots of fun rustic holiday decor. If that’s your style, you’ll want to check it out for sure! It looks like the bases for these burlap trees are wood, but the premise is similar to the garland trees above. This almost seems too simple to not have used it before. Use some pretty ribbon to spice it up, spray paint the pinecones to match your theme or add some glitter! You could just as easily use ornaments to add some sparkle and shine if you’re not a fan of the au natural look. Again, this is so simple it almost feels like cheating. If you don’t have a galvanized bucket, spray paint another bucket or basket you have sitting around the house. This would be a great spot for some battery-powered lights, and if you run out of firewood during one of those pesky South Carolina blizzard, you’ve got extra close by. 5.) Create a winter wonderland. A little bit of white spray paint can go a long way. Some fallen branches, old planters and snowflake lights keep this look calm and cool. 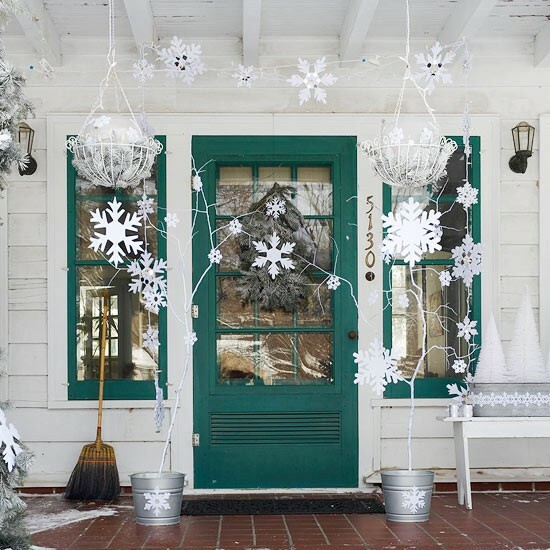 This is also a great use of all those paper snowflakes the kids like to make, and if you don’t want to hang them outside, they’ll look just as sweet taped inside the windows. Here’s a quick bonus project I thought was fun, but the weather in the Upstate doesn’t always allow for it. 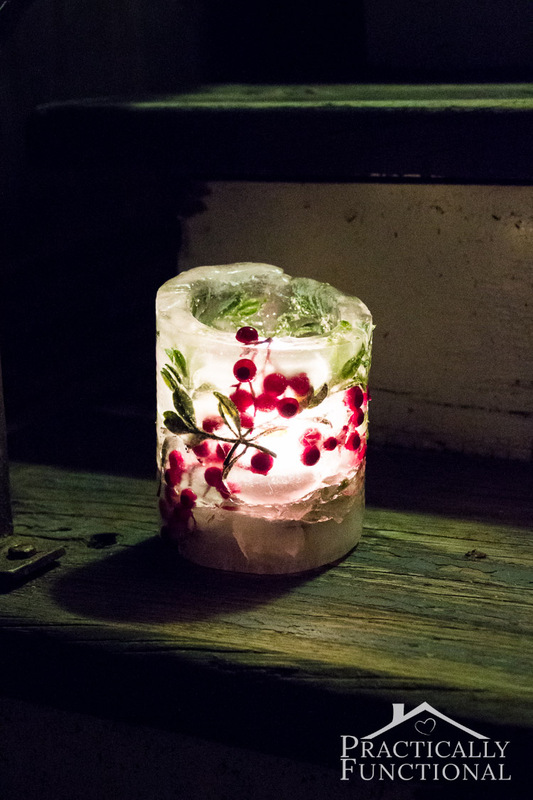 These require two tin cans and some leftover greenery, but you can use the fake stuff if you’d prefer. The tutorial includes directions, but this is a simple project that might keep the kids from going stir crazy on one of our rare snow days. These would make a fun addition to outdoor decor to greet guests on a cold winter’s night.